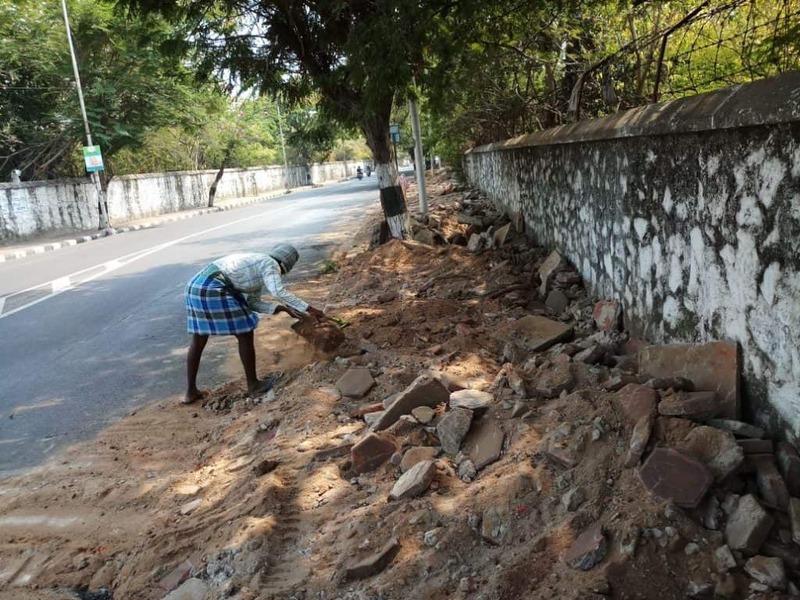 On the evening of Saturday, March 31st, the residents of Besant Nagar were taken aback when large stretches of perfectly laid pavements, between Theosophical Society and Olcott School, interspersed with young trees protected by tree guards, were dug up and uprooted by a crew from the Greater Chennai Corporation. When they asked what the work was about, and who had ordered it, they were told that the Bus Route Roads (BRR) department of the Greater Chennai Corporation (GCC), had a plan to widen the pavements and provide bicycle lanes. But why break perfectly good stretches when there are so many bus route roads in the city that are crying out for pavements that can help ensure greater pedestrian safety? And most importantly from a transparency perspective, why start the work on the evening of the last day of the financial year? 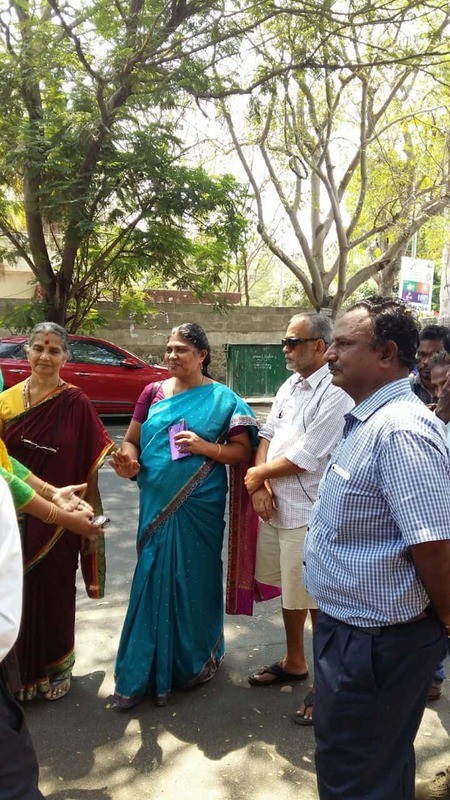 The citizens of the area, and indeed of many parts of Zone 13, led by Spark members like Dr T D Babu, Kamakshi Paati, Ramakrishnan and Pattu Chandrashekhar, requested the officials of GCC Zone 13, to help them meet the officials from BRR department, who were in charge of the work. 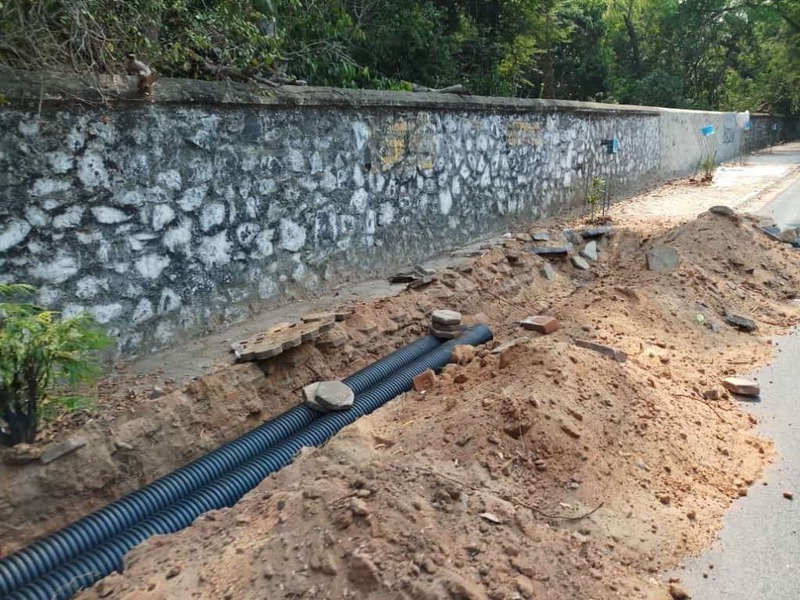 When contacted, the officials from BRR agreed to meet with the residents’ representatives, at the site of the work, with the plans, on Monday morning. BRR officials, Ward officials from 176, the architectural consultants to the project and the contractor executing the work, came to meet the group of about 20 citizens from the area. Two years ago, pavements along Rajaji Bhavan were removed, ostensibly to provide better pavements, but that work has still not been completed. Local ward engineers, who are in regular touch with the residents of the area, were not aware of the work being undertaken by the BRR department As a result, there was no information or warning to the community, or consultation with the community about the need for such a project. The locals had adopted stretches of the pavement for regrowing trees, as this stretch has seen the loss of a great many trees during Vardah. 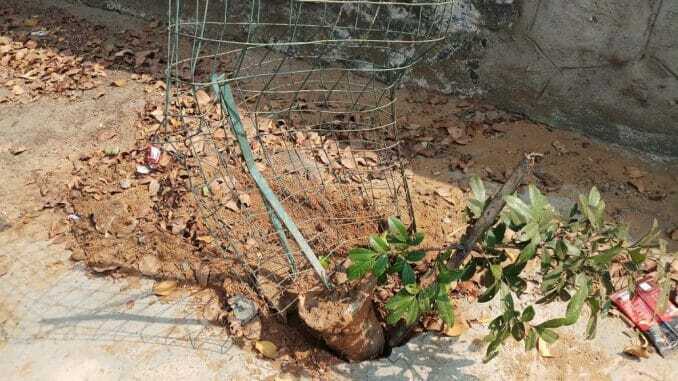 Many of those young trees, carefully nurtured and protected with tree guards, were damaged by the JCB as it dug up the pavement in the evening light. Meanwhile, the BRR department has agreed to stop the work and restore the pavements and tree guards that were damaged on Saturday. 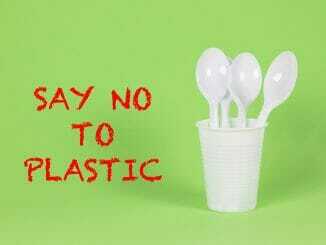 They have also agreed to come back with a revised plan for discussion with citizens’ representatives and the local community. 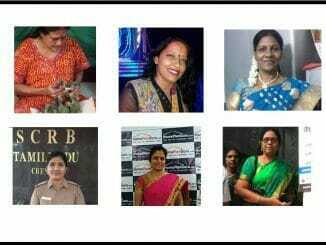 The resident representatives of Besant Nagar hope to show the city the way towards greater cooperation between the government and the public , where roads, pavements and other infrastructure projects are concerned. 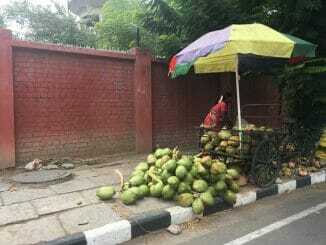 After all, it is Namma Chennai, isn’t it?